In the early days of roadways, bridges were typically constructed out of wood, which was plentiful, inexpensive and a fitting structural material. 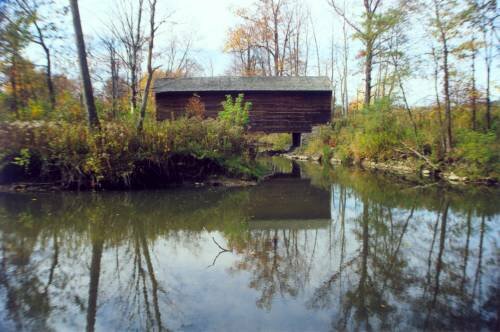 Exposed wooden bridges would deteriorate quickly (10-15 years) from exposure to the elements, so to enable a more durable and long-lasting structure, bridges were built with a cover, in most cases including both a roof and sides. 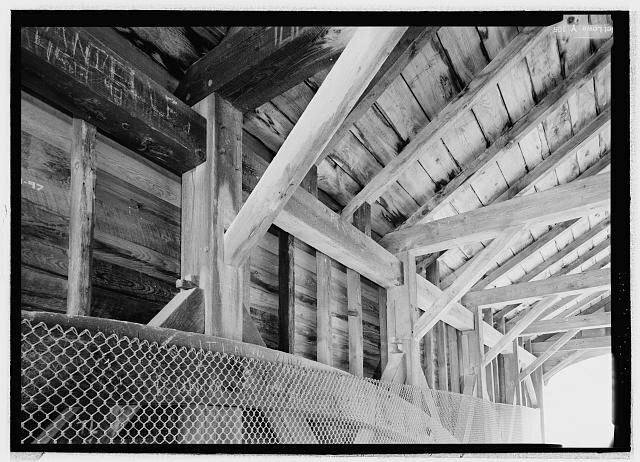 Most covered bridges have been replaced to accommodate today’s vehicles and modern traffic. There are only about 1600 original covered bridges remaining in the world today, and one of them was built as part of the Hyde Hall estate – officially the oldest covered bridge in NY. 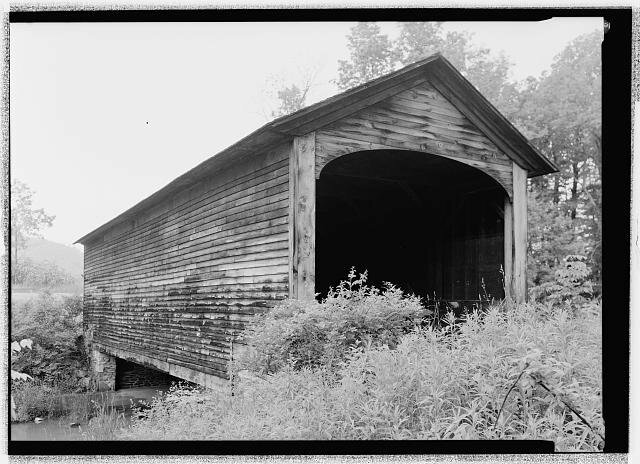 Hyde Hall’s covered bridge, built by George Clarke in 1825, is the oldest covered bridge in New York State. It is 53 feet long and one lane wide and has been on the National Register of Historic Places since 1998. It can be seen on the grounds of Glimmerglass State Park, which borders Hyde Hall and was once part of the great Clarke estate. It crosses Shadow Brook and is for pedestrians only. The bridge form is known as a Burr Arch.